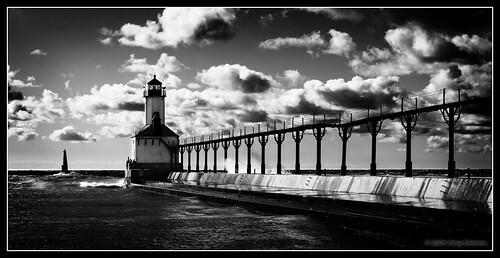 Our photo of the week was submitted by Cygnus~X1 and features a beautiful black & white look at the Michigan City, Indiana’s Lighthouse on the south shore of Lake Michigan. You can see more great photos of Indiana on the Visit Indiana Flickr Group. If you’d like to join the group and submit your own photos, just sign up for an account on Flickr and request to join the group. We’re always looking for more members and more great photos of Indiana.